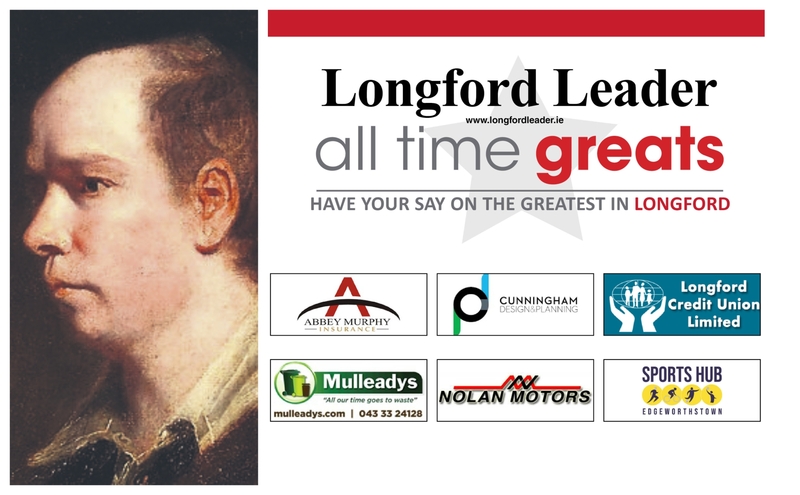 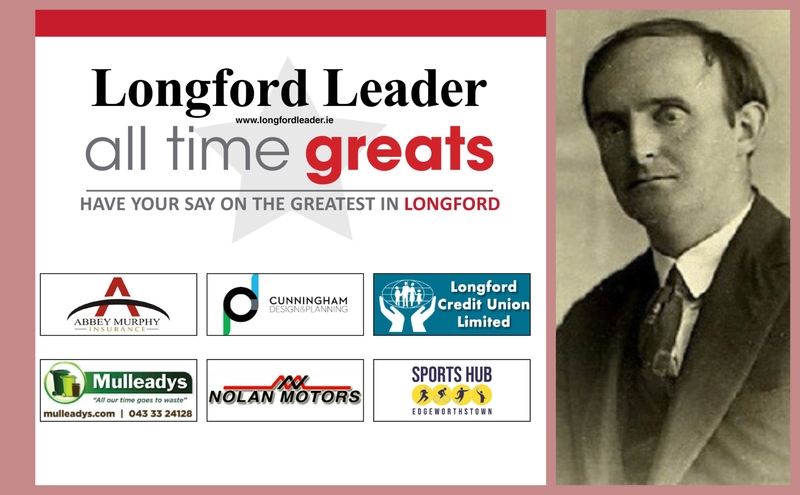 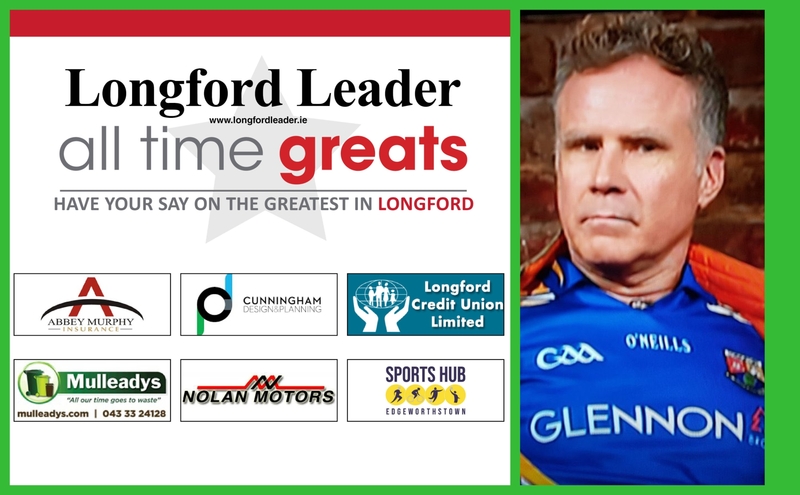 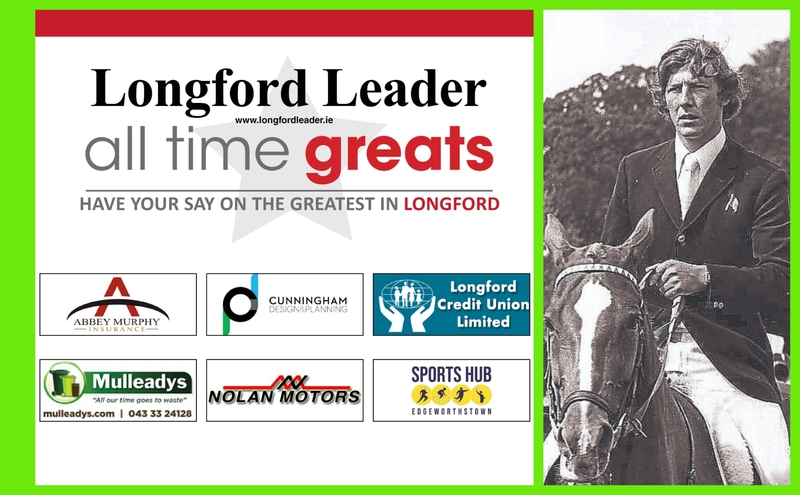 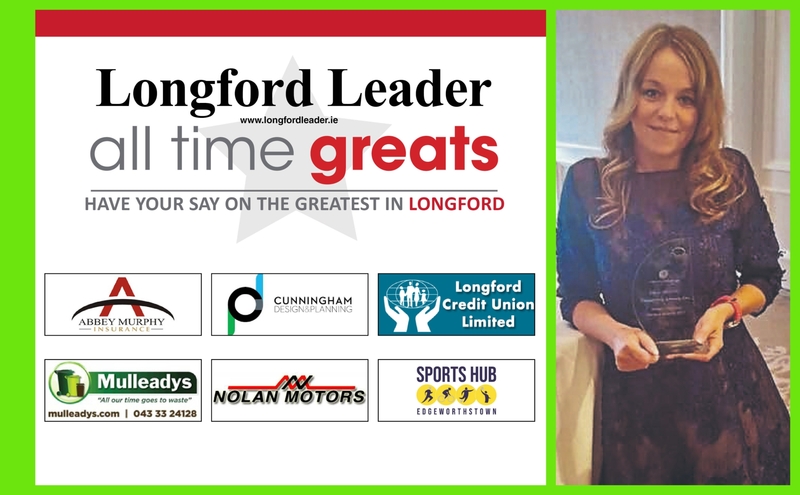 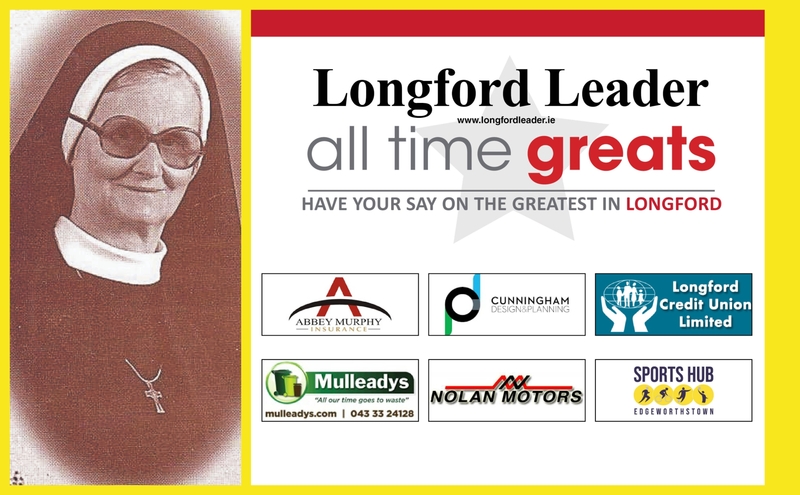 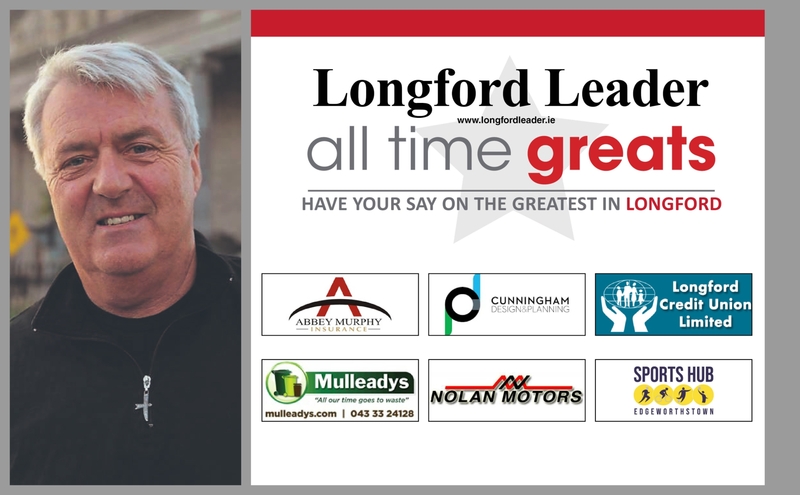 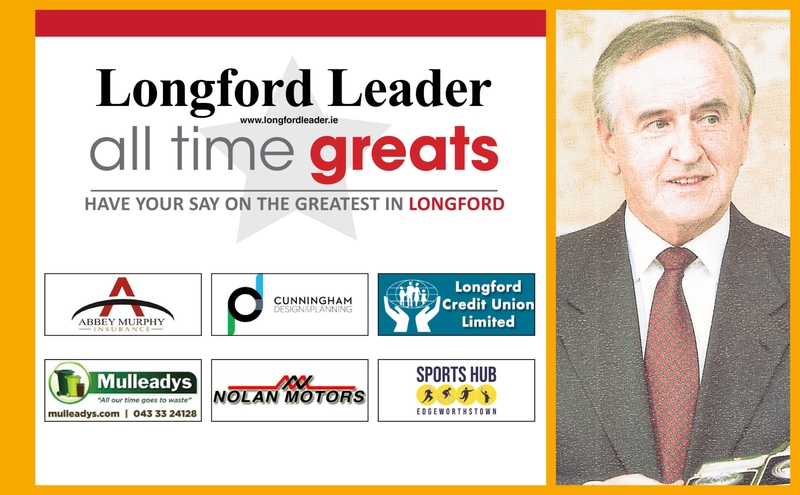 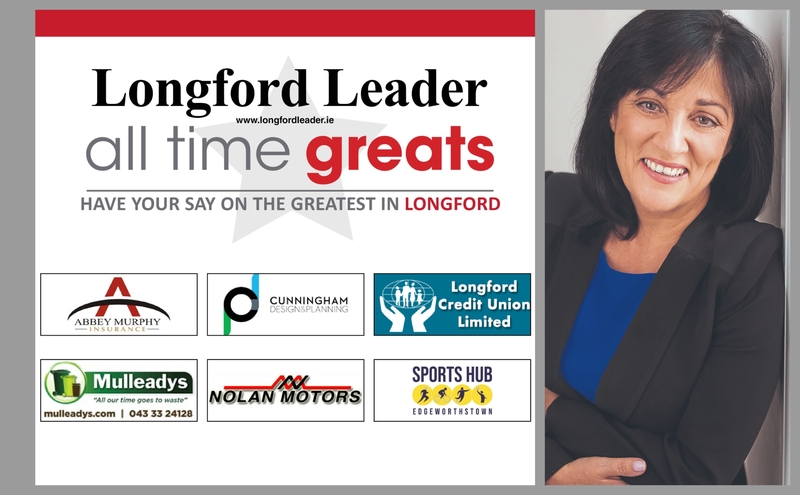 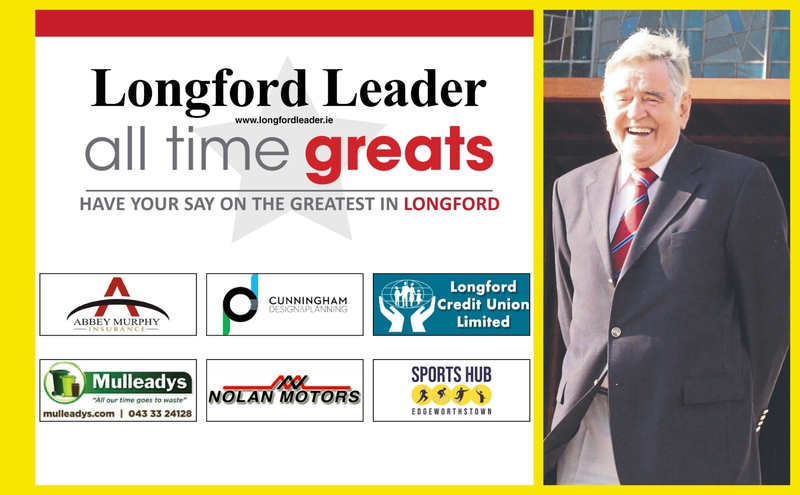 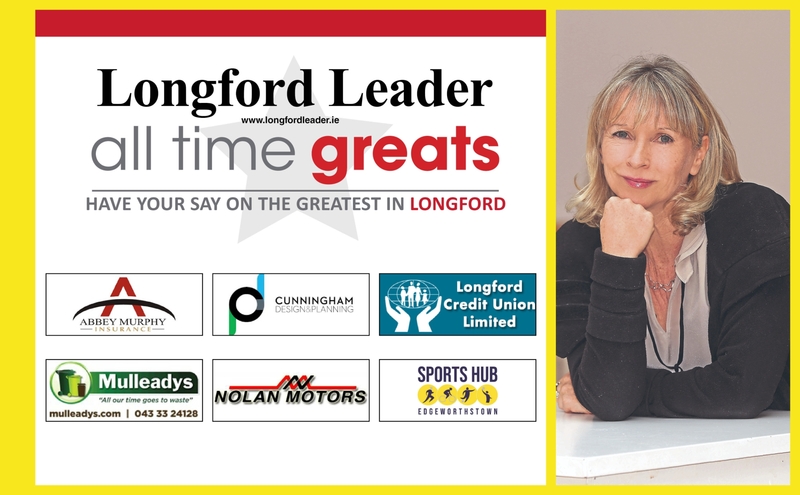 The shortlist of names for the search to find Longford’s All Time Great has been drawn up and the competition will now begin in earnest. 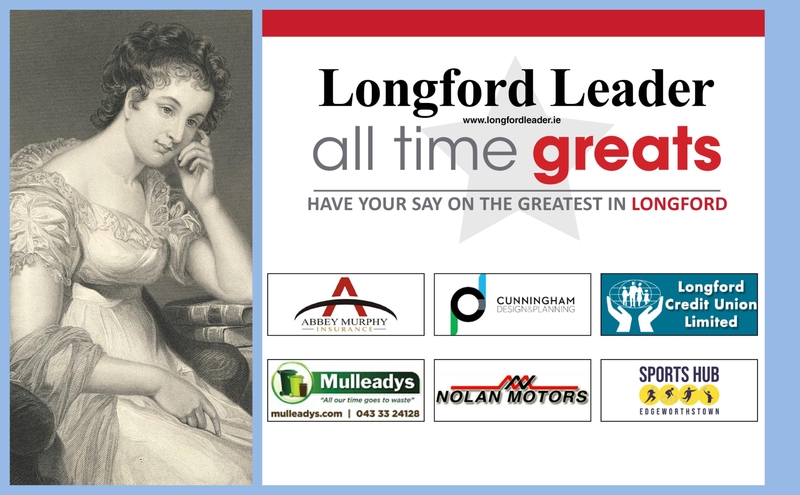 Sixteen people have been selected from hundreds of nominations and now the fun really begins! 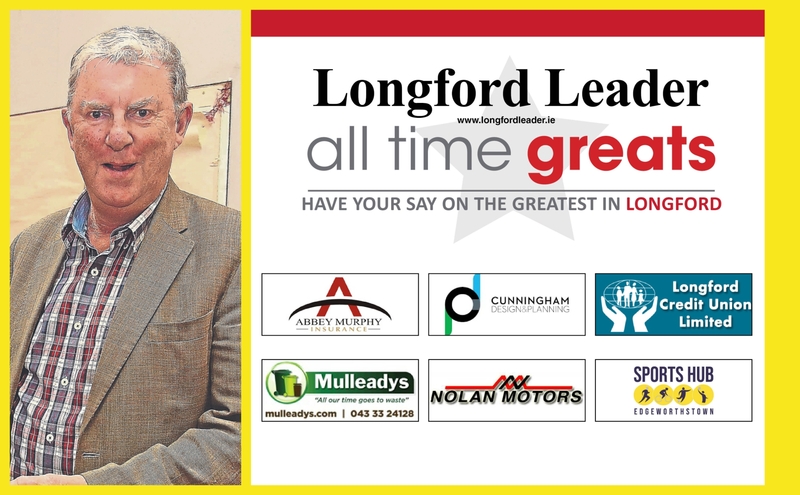 The Leader will shortly launch a series of online polls pitting our nominees head-to-head at quarter-final, semi-final and eventually, final stage over the coming weeks. 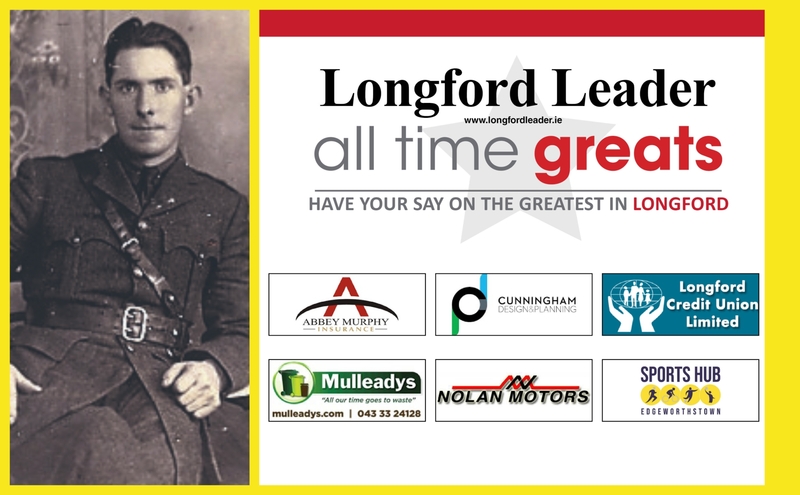 A draw will take place this Friday, the results of which will be posted in video online. 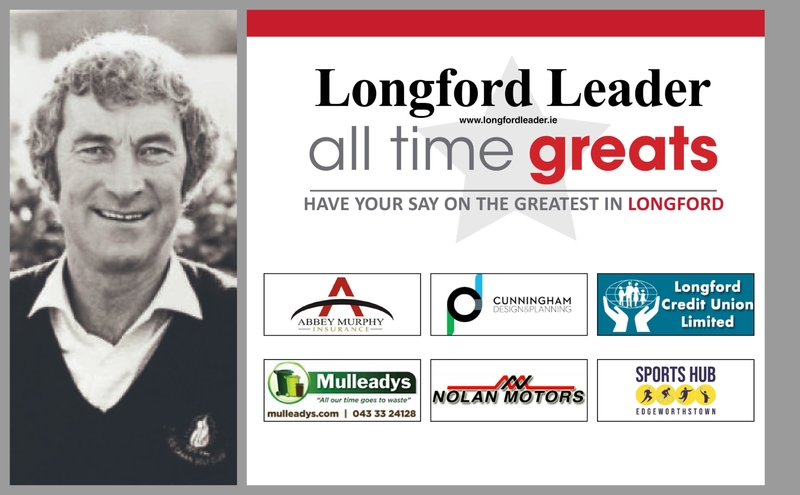 Then, the polls will ask you, the reader, to determine who is Longford’s All Time Great. 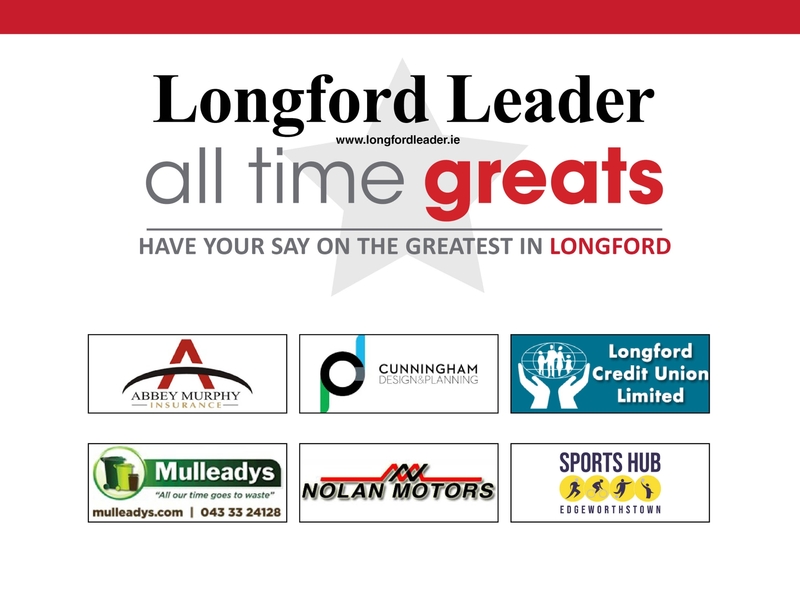 As you can see, a fantastically varied list of 16 names has been assembled, from business, charity, sport, entertainment, politics and historical - “generations of people who have contributed greatly to local life in this county and this recognises their work,” according to Alan Walsh, Longford Leader managing editor. 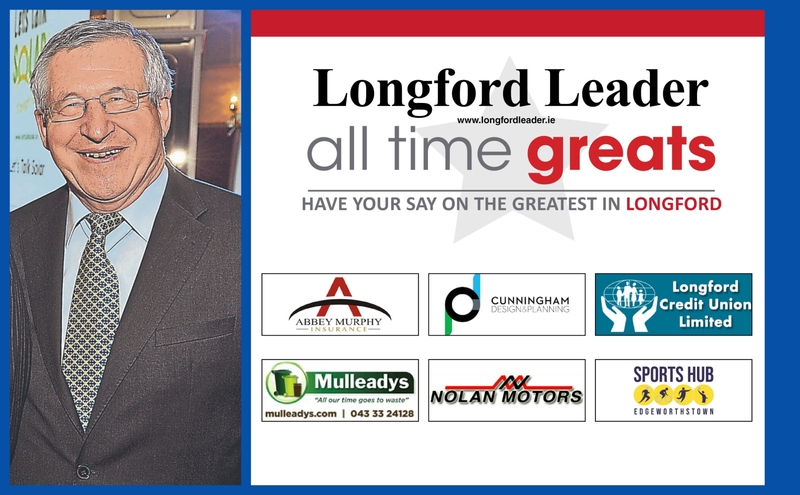 A huge thank you to our sponsors, Abbey Murphy Insurance, Cunningham Design & Planning, Longford Credit Union Limited, Mulleadys, Nolan Motors and Edgeworthstown Sports Hub.